In the tradition of space-adventure movies such as the Aliens franchise and Prometheus (3D), and the blockbuster and critically-acclaimed films such as "The Counselor," "Child 44," and "Exodus: Gods and Kings" comes another mind-blogging and spectacular sci-fi movie masterpiece from director and producer, Ridley Scott. "The Martian" is the latest addition to Ridley Scott's films that will soon hit the theaters, worldwide. In the sci-fi movie "The Martian," Ridley Scott tandems with Matt Damon as they will create a believable environment scenarios of "what ifs" or "what could have beens" in a world millions of miles apart (actually, it's interplanetary!). Matt Damon plays the role of Mark Watney, an astronaut who is presumed to be dead after a fierce storm hit the surface of Mars during a manned mission there in search for life on that planet. Fortunately, Watney survived and finds himself stranded and all alone on the red planet. With nothing left but his ingenuity, wit, and spirit, Mark Watney finds a way to signal Earth and send a message that he is still alive. The NASA and a team of international scientists must work together to rescue the "Martian" and plot an impossible mission to Mars. Will the NASA's rescue team able to save Mark Watney and have his safe return from the hostile planet of Mars, who is four years away or millions of miles apart from Earth? "The Martian" movie is based on the best-selling novel and helmed by the master director Ridley Scott. The film features a stellar of cast, which includes Jessica Chastain, Kristen Wiig, Kate Mara, Michael Peña, Jeff Daniels, Chiwetel Ejiofor, and Donald Glover. Matt Damon takes the lead role as Mark Watney. The movie "The Martian" is set to be shown on October 2015 in the US Cinemas and September 30, 2015 in Philippine movie theaters. "The Martian" is brought to you by 20th Century Fox and Ridley Scott's movie production, Scott Free. 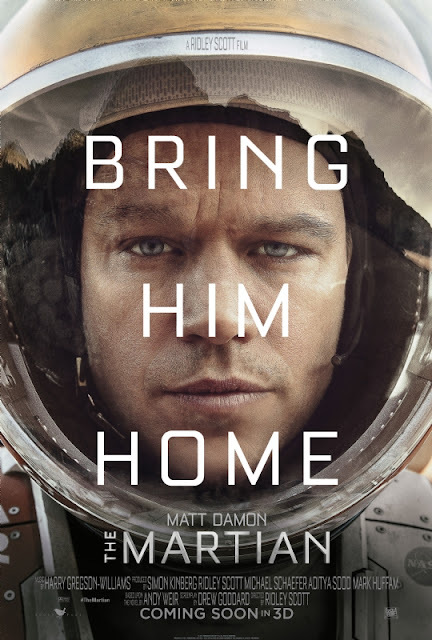 Watch "The Martian" full movie trailer below.